Voilá – the online gallery was updated! …at the end of a wonderful year 2016, full of joyful concerts and energetic recording sessions, we have finally finished our new CD, the 6th! Now available! For orders email joerg-wachsmuth@melton-tuba-quartett.de ! Concerts in Düsseldorf, Lübbecke, Bielefeld, Remscheid-Lüttringhausen, Frankfurt/Main, Nürnberg-Wendelstein, and Bamberg. Recording sessions at Topaz Audio Studios, Cologne. January 12/13/14 we did Grand Concerto 4 Tubas again, this time with the “Neue Philharmonie Westfalen”, here are all the details. Celebrated concerts in Gelsenkirchen, Recklinghausen and Kamen. January 18 there was a matinee concert 11am in Mörsach, Bavaria. October 24 – 26 there was a big low brass workshop held by Deutsches Tubaforum in the beautiful Frankonian city of Volkach. On the 25th the Melton Tuba Quartett gave a concert for all participants and the public. Honorary Lifetime President of the Deutsches Tubaforum, Prof. Klemes Pröpper, attended the concert and gold plated the event by his presence. September 25 the ensemble presented a mostly new programme to an enthusiastic audience. Hartmut Müller gave helpful background info as well as charming introduction to the music. We even had a World Premiere: “Guca 20h” by Berlin composer Jürgen Hahn, a most virtuoso “Balkan Pop” piece, made to raise the audience from their chairs! August 17 there was an open air concert in Bad Berka. Thanks to the friendly weather we had a chance to delight the audience with a pleasurable summer program. Here you can watch what was on mdr television broadcast about the event! May 30 we gave a performance at Theater Schweinfurt, here is their website. Thanks to a great audience and a fantastic team backstage! On Tuesday, May 15 at 7 pm in the Stadthalle Markneukirchen, Germany, Jörg was featured as soloist playing the new sensational Giant Tuba built by a group of Markneukirchen instruments manufacturers. The horn is displayed at the famous Markneukirchen Music Instruments Museum. It is a triple BBB tuba, one octave lower than a regular BB tuba and built to the scale of 2:1. Jörg has actually played it as soloist with the Markneukirchen Stadtorchester directed by Dr. Enrico Weller. He did “Der Alte Brummbär” by Julius Fucik and Rimski-Korsakov´s “Flight of the Bumble Bee” in special arrangements as well as the Pavel Stanek Tuba Concerto. A review of the entire concert can be found here. Jörg has already presented the Giant Lady on MDR TV, here you can watch the featurette. The tuba will be after app. 9 minutes from the start of the show. Have fun! The new recording of works by John Stevens has received highest acclaim amongst critics and audiences. 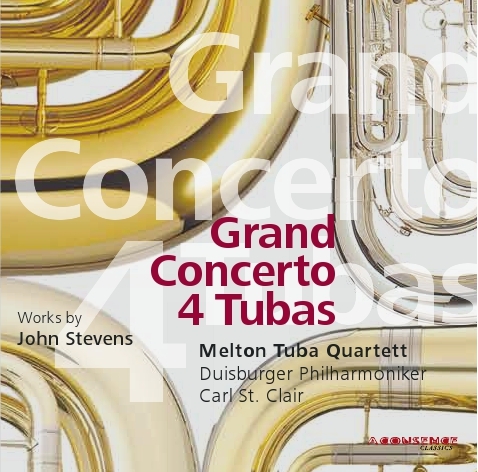 Here you can read what Graham Rickson of Classical CDs Weekly has written about Grand Concerto 4 Tubas. Friday, June 22nd, the Melton Tuba Quartett performed the Grand Concerto 4 Tubas open air with the Bamberg Symphony at the “Landesgartenschau Bamberg”, the Flowers and Garden Festival, for app. 4000 people. This was followed by performances in Fürth and Schweinfurt on June 23rd and 24th as well as a concert at the “Festival Mitte Europa” in Ostrov, Czech Republic on June 26th. The picknick concert at the Mozartfest Würzburg on Sunday, July 1st had to be cancelled due to a rather bad weather forecast. Our next concerts were July 12 – 15 in southern Germany, the details you´ll find on the “concerts”-page. Next performances of “Grand Concerto 4 Tubas” were with the Wuppertal Symphony under the baton of Chief Conductor Maestro Toshiyuki Kamioka, Dec. 16th and 17th at the most beautiful historical Wuppertal Concert Hall. 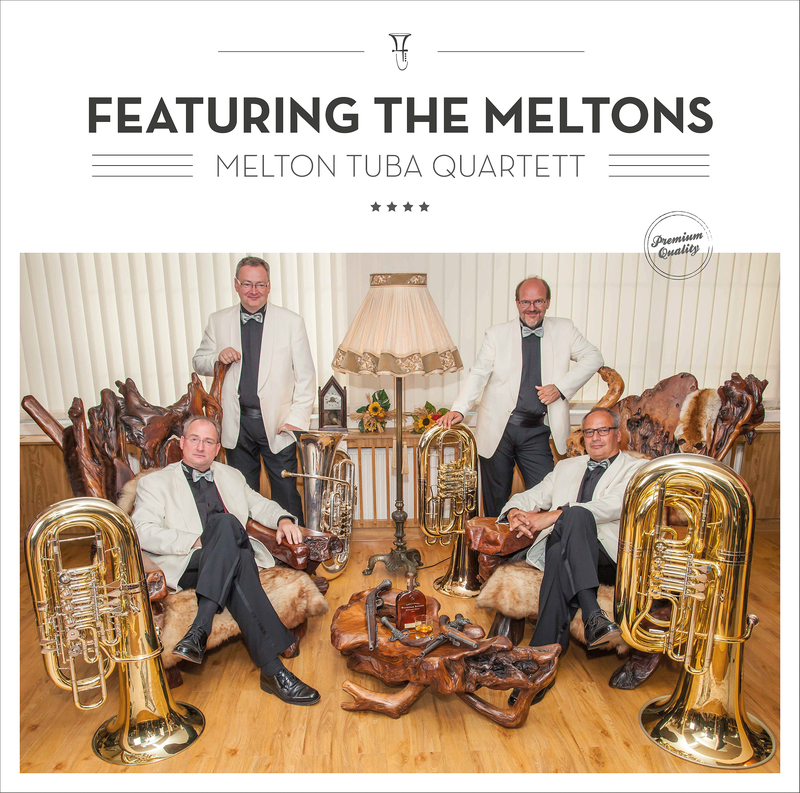 The Melton Tuba Quartett has opened a new chapter in music history! The Duisburg Philharmonic, Dresden Philharmonic, and Bamberg Symphony have commissioned a dramatic new work by John D. Stevens, the first ever “concerto grosso” for tuba quartet and symphony orchestra! 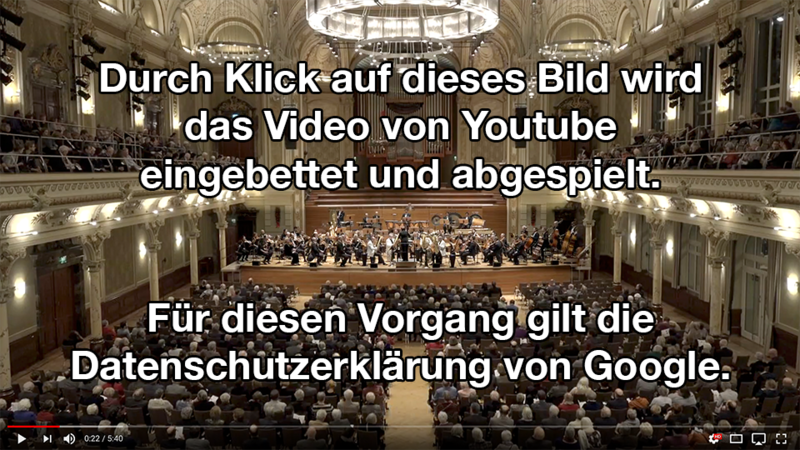 This piece, called Grand Concerto 4 Tubas, was exclusively and especially written for the Melton Tuba Quartett and had it´s World Premiere at the Mercatorhalle Duisburg November 9, 2011 with the Duisburg Philharmonic under the baton of Carl St.Clair. Here´s a little youtube video of the second performance Nov.10, and a youtube impression of the encore pieces we did after the premiere performance… Together with other works by John Stevens “Grand Concerto 4 Tubas” appeared on CD and as download. Watch John and Heiko on Youtube talking about the new CD. The CD can now be ordered here. For download you can visit Linn Records or HIGHRESAUDIO , choose your preferred audio quality and get the new recording even faster! - 2012 Bamberg June 22, Fürth June 23, Schweinfurt June 24. Here you can read what the newspapers said about the concerts and the new piece. At the Dresden Music Conservatory (Musikhochschule “Carl Maria v. Weber”) on Sunday, April 14, we had the tremendous pleasure to give World Premiere to our newest commission: Synergie4 by acclaimed tubist and composer Mike Forbes! Many thanks go to the audience that attended the concert in large numbers despite the fantastic weather outside… They liked Synergie4 just as much as we do! Dear friends and fans of Melton Tuba Quartett! Dear curious and couragious guests! We wish you a very warm welcome to our new homepage. As you see, we´ve been very busy and it is now even more worthwhile than ever to visit our site. Feel free to rummage through our photo gallery to your heart’s content and read the interesting background of Germany`s one and only tuba quartet. We hope that you are as astonished as we are that a daring experiment from the 1980’s developed into an established entity of modern music. Here, you will find many exciting concerts, our own editions of music and our CDs, the most recent of which can be ordered exclusively from this site. Have a nice time viewing!